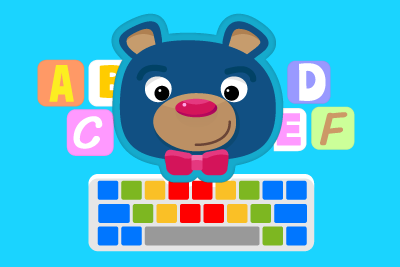 Kindergarten and 1st Grade continue their progress in Typing Club. día tan bonito ... paraguas ... soleado ... viento ... abierto ... cerrado ... mojarse ... nublado ... divertido ... Hasta la próxima! 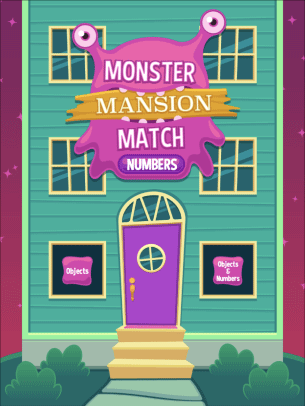 Monster Mansion Number Match is a fun matching game for kids to practice numbers and counting. Click on the windows of the Monster Mansion to reveal the friendly monsters inside and match the numbers and objects. Players can compare objects to numbers or objects to objects. They can also choose to show the cards or play by memory. Numbers are read aloud to reinforce understanding. 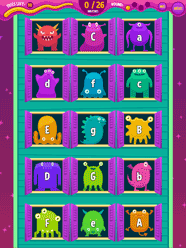 Monster Mansion Alphabet Match is a fun educational activity where children must match letter sounds to beginning word sounds, for example "A" = "Apple". 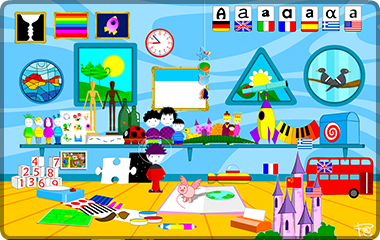 Click on the windows of the Monster Mansion to reveal the friendly monsters inside and match the letters to the appropriate the words. 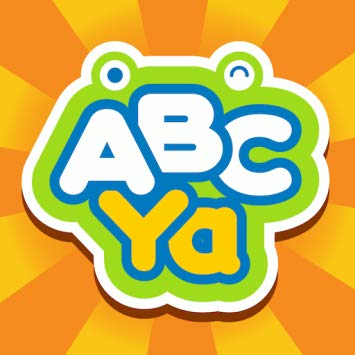 All letters and words are sounded out for children as they play the game. 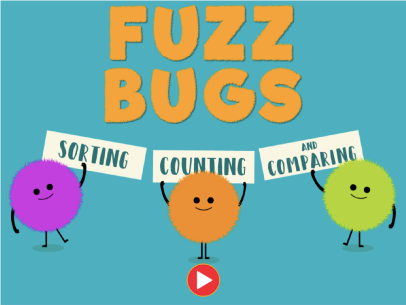 Fuzz Bugs is fun activity for Pre K & Kindergarten children to practice counting, sorting, and comparing. Kids will interact with funny little Fuzz Bugs to complete several tasks that include: categorizing by color, counting to ten, least to most, left, right, top and bottom. Kids will also practice valuable mouse manipulation skills and learn to follow step by step directions.